BATSRUS Y-Cut Magnetosphere cygnet showing strong magnetic eddy flows behind the Earth these past few days. 9/24 T03:44 - T21:05 UTC A gap free 17 hr. 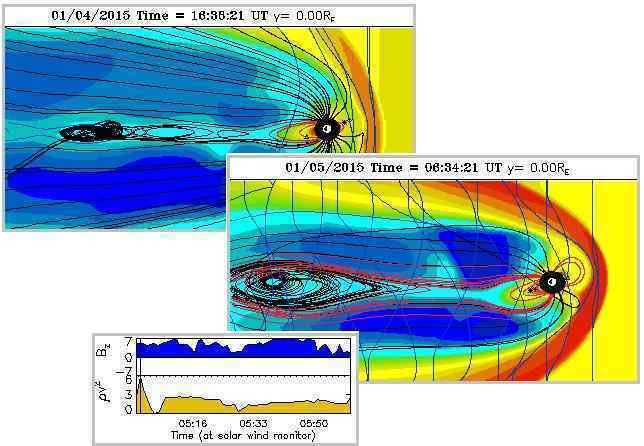 look at a GIF animation of the BATSRUS Y-Cut magnetosphere cygnet. Charts above from September 14-25 showing that the gaps in the magnetosphere Cygnets image feeds (missing frames). With event times listed right. Gap free for over 2 days now and at the time of this post. I set out to post a few of the GIF's of the eddy flow of magnetons showing up on the BATSRUS Y-cut magnetosphere the past day or so. I ended up recording most of the last day and night due to the seemingly constant flow of magnetons. 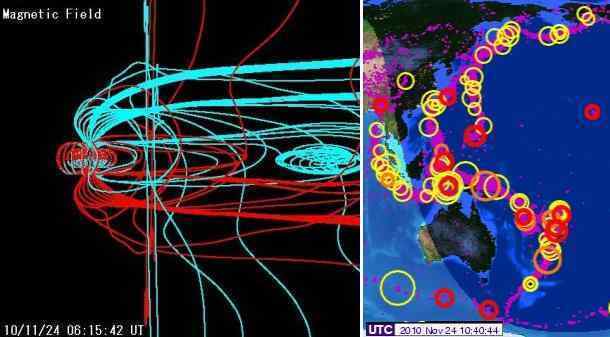 Even while the magnetosphere is magnetic twisted, severe compressed. The BATSRUS Magnetosphere cygnets were again offline 8/8/2018 @ T20:03 UTC. Back online as of 8/13 T21:02 UTC. The 12:00 hour is now surprisingly is viewable.